The trading resources listed below offer traders further information on topics which are discussed on this website. The intent of this trading resources section is to suggest a few links, to websites, which can offer you guidance with your investing and stock trading activities. While we try to include only relevant websites, it is up to the reader to make the final decision. All of these links will open in a new window. To be good at stock trading most would agree that you need to deveop a plan that fits you. The plan needs to incorporate all facets of trading such as money management, when to get in and out of the market and risk control. My Traders State of Mind - Randy Howell, trading psychologist helps you develop your emotions and mind for peak performance trading. I found his book to be one of the better psychology books out there. The links below contain information on stock market screeners and should be of value if you are trying to find stocks that meet specific criteria. These websites focus on technical analysis. StockCharts - Provides custom built screeners or you can build your own. You can find newsletters for free or paid subscriptions. You can look at this as another set of eyes looking for potential entries for you. Live Traders - They offer a paid subscription for a swing trading newsletter. Each week you can expect to get trade alerts and updates as they call them and a more detailed discussion of the markets generally on Wednesday and Saturday. If you are looking at trading stocks under $ 5.00, then you are likely looking for penny stocks. These websites offer you a good place to begin your search. AllPennyStocks - AllPennyStocks.com is a recognized financial website devoted to Canadian and American Stocks and Penny Stocks. AllPennyStocks.com has a wide range of features including daily write-ups of financial news, weekly penny stocks to watch, daily top 50 penny stocks info and technical analysis to name a few. Penny Stocks, Free Stock Picks - Message Boards - Popular investor forums focused on penny stocks and momentum stocks. Global Penny Stocks - offers an advisory newsletter for stocks under $5.00. Recommended by both Barron’s and Forbes, Global Penny Stocks uses technical and fundamental analysis to identify potential buy candidates. The sites listed below specialize in Forex, commodity and futures trading. Forex or foreign exchange markets deal in the trading of currencies. Commodities are hard assets such as oil, gold, sugar, wheat and orange juice and can be purchased today at a specific price. Futures deal with agreeing now to a price at which you will buy something (e.g. pork bellies, oil, currency, metals etc.) for in the future. The trading resources below allow the stock trader to examine a number of different stock charts in different time frames. BigCharts - Provides interactive charts which you can add dividends, earnings splits and other information to the stock chart. LiveCharts.co.uk - Provides free real time trading charts and data tools for world markets. Charts are fully functional with a whole range of indicators, drawing tools and settings. LiveCharts also features auto updating pivot points, market trend forecast charts and a currency strength meter. For those that like to play a fast trading game these trading resources give you an introduction to day trading and swing trading techniques. The Pristine Day Trader - Daily and Real Time trading ideas and education via online reports. Sign up for their free email service and receive information which can help you learn how to trade the stock market. Here you will find different types of ideas traders use in the stock market. These may pertain to stock trading methods, sector watches, trading signals or technical analysis. Dogs of the DOW - Focuses on buying the top yielding stocks in the DOW 30 Index. 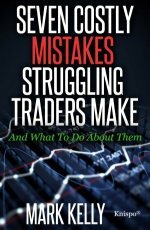 If you are looking for answers to frequently asked questions on articles on stock trading these resources should be able to help you. Investopedia - your complete, unbiased, and easy to understand educational guide to investing and personal finance. The site includes a comprehensive investing dictionary as well as tutorials and articles covering just about every area of the market. InvestorWords - offers a financial glossary with over 6,000 definitions. InvestmentU - A complete educational resource for the individual investor, offering unbiased investment advice, research and guidance. Features a free, twice-weekly investment email newsletter, full archive of back issues, white papers, special reports, and message board. Invest-FAQ - obtain answers to many questions you may have on stocks, bonds, mutual funds, derivatives, trading strategies and technical analysis. 508Finance - Is a financial website for people with visual impairments. Get financial news, calculators for interest and loans as well as a glossary of terms. 508 Financial is designed to be Section 508 compliant and, wherever possible, WCAG 2.0 compliant. If you are looking for ways to obtain information on the every changing landscape of stock trading websites, magazines on stock trading generally have sections on updated or new trading resources.